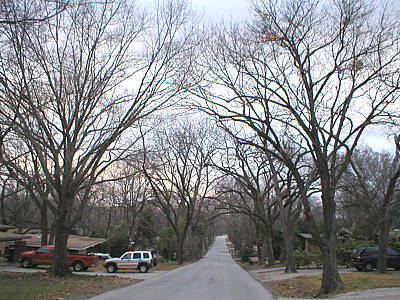 Quite simply, the urban forest is a term used to refer to all of the trees typically within the city limits. In Dallas, this includes everything from the large and abundant trees found in the Great Trinity Forest to the trees that line Monticello Avenue in the M Streets. Our urban forest includes the wonderful canopy of trees found in our parks and even the trees in your neighborhood. A part of the Urban Forest Advisory Committee’s mission is to conserve, promote, and increase the number of these urban trees to improve Dallas’ quality of life.